It’s time to dig out those heels again, boys! 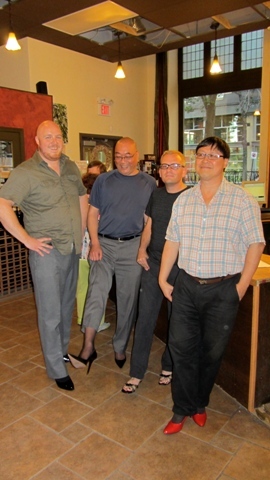 On October 24, the men of deVine will once again don their stilettos in support of the YWCA’s Walk a Mile in Her Shoes Campaign. All gross proceeds will be donated to the YWCA in support of their Family Violence Prevention and Recovery programs. In the spirit of this fundraiser, Ed Fong will lead a team of “divine guys” who will serve you vino in their sexiest heels all evening long. We’re “man enough” to stand up against family violence. Are you? Please come out and show your support for a great cause. Italy will be the theme of the evening, as Italians do produce the most fabulous, fashionable footwear in the world. Everyone is encouraged to come out in their finest Italian clothes, shoes and accessories! A selection of Italian cheeses and appetizers will be served. Can anyone say “Arancini” from Corso 32?? Seven fantastic Italian wines will be showcased at this stand-up event: a Prosecco to attenuate your taste buds and set the mood, two whites, three reds and a dessert wine. Tickets to this fundraiser are $30 each. If you would like to see the complete wine menu and/or register for this event, please register here.. Reservations can also be secured by calling the store at 780.421.9463. Our goal is to sell a minimum of 60 tickets to raise $1,800 for the YWCA to help women and their children take steps to walk away from family violence. Lastly, I would like to challenge the men in my industry to take a stand against family violence. If you own a wine or liquor store, a licensed establishment or you are a liquor agent, please join me in this cause. I would love to see your male competitive spirit top my own fundraising goals. To you, I throw down the gauntlet! Are you man enough to stand up to me, in heels! Summer is coming to an end, and for all you beer enthusiasts that means that the season of summer beers is also wrapping up. No more citrus. No more hefeweisens. No more 4.5% alcohol. Soon the season of porters and ales will be upon us; a grueling six months of boots, Netflix and talking about the weather. The good news is deVine’s still has a healthy stock of summer goodness. Fire up your BBQ’s, put ice in your coolers, and come down to deVine Wines and Spirits to pick up a 6-pack (or two) of summer beer. Here are a few suggestions to make it even easier for you to enjoy the seasonal bliss. This quirky beer comes from Kelowna, BC and may be the most adventurous of the bunch. It’s hazy, golden hue promises true hefeweisen style with citrus, cloves and a pleasant, dry mild hop finish. 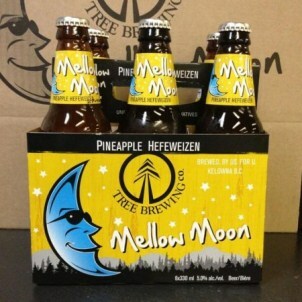 A pronounced pineapple flavor humours peculiar pairings such as ham and pineapple pizza, lemon meringue pie and any spicy Indian food. As the saying goes “Real men drink pink”, and so can you as this summer brew has a fabulous raspberry pink hue. The brewery uses Fraser creek raspberries which give the beer a refreshingly tart flavor without a sugary sweet quality. Granville recommends a perfect pairing of summer salads, fresh air and sunny afternoons. Grapefruit beer has been the popular kid of the summer with brands like Alley Kat and Stiegl Radler leading the pack. Whistler brewing has done their version of this citrus beer with dried grapefruit rind and two kinds of hops. This summer bevy promises to be a refreshing pairing for curries, Asian dishes and all the hippest parties. So whether it’s your last trip to the lake, a special treat after the Saturday market, or just a refreshing drink after mowing the lawn, get your hands on some summer beer. Unlike the mosquitos and road construction, these seasonal sippers will be missed. deVine’s 2010 Bordeaux have arrived. Please visit us online or in-store for the unveiling of dozens of wines from this legendary vintage. Following the 2000, 2005, and 2009 as vintages of the century, the 2010 joins this group easily – it is indeed a great and ageworthy vintage in the classic style. The comparison between 2010 and the flashy 2009 neighbour will generate debate for decades to come similar to the comparison between 1989 and 1990. A perfect growing season and an uneventful harvest has resulted in a vintage characterized by mature ripe fruit, great acidity and freshness, and one with incredible aging potential across the board. While 2009 is the so called California vintage that reminds of 1982 that doesn’t ever shut down, this is in the classic style that needs time to cellar and will likely go through a dumb phase. Those of you who purchased futures deserve a pat on the back – 2010 is the most expensive vintage to date from Bordeaux and shelf prices are 20% higher than futures prices. While expensive, it is worthy of any serious cellar and for those with means and patience, it is a must buy. Many of you purchase in great quantities in 2009, and didn’t go as long on 2010’s, so now is the time to grab a few so you can do your own comparisons down the road. 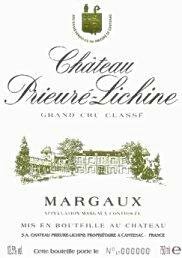 Also not to be missed are the White Bordeaux 2010 from Pessac-Leognan, a great vintage for the whites and not to be missed.Terribly expensive, these Sauvignon Blanc-Semillon blends are also great agers, and great food pairing wines with amazing aromatics and textures that only the Graves terroir can produce. Treat yourselves! With 2011 and 2012 reds being only very good, and 2013 shaping up to be the same, the back pressure and pricing on the great 2009 and 2010’s will only increase with the passage of time. Put some in your back pocket now while supply lasts and reap the rewards in 10-20 years. Note quantities on most of these wines are limited, and once gone, we’ll likely not go to market for additional inventory, so don’t snooze. Check out our available 2010 Left Banks here.. Check out our available 2010 Right Banks here..